This fresh look at the neglected rhythm section in jazz ensembles shows that the improvisational interplay among drums, bass, and piano is just as innovative, complex, and spontaneous as the solo. Ingrid Monson juxtaposes musicians’ talk and musical examples to ask how musicians go about "saying something" through music in a way that articulates identity, politics, and race. 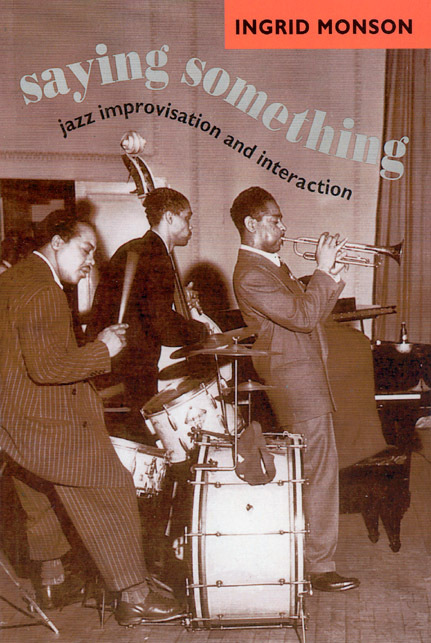 Through interviews with Jaki Byard, Richard Davis, Sir Roland Hanna, Billy Higgins, Cecil McBee, and others, she develops a perspective on jazz improvisation that has "interactiveness" at its core, in the creation of music through improvisational interaction, in the shaping of social communities and networks through music, and in the development of cultural meanings and ideologies that inform the interpretation of jazz in twentieth-century American cultural life. Replete with original musical transcriptions, this broad view of jazz improvisation and its emotional and cultural power will have a wide audience among jazz fans, ethnomusicologists, and anthropologists.